The other night at Crossfit, I finished my workout with a spasm in my lower back. I was bitching and complaining, I actually almost quit the workout. Finally one of the men said to me, it all sounds like excuses. That has been rolling around in my head since then I can finally say out loud, he was right. Every workout I was coming up with all kinds of excuses. Now, I did injure my shoulder and it's still sore, but all that means is I have to take it easy with it. 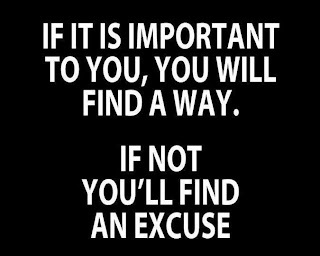 Everything else is just an excuse. So last night I have it my all and did pretty good. Tonight I gave it my all and while I didn't get to finish the workout because I ran out of time, I know I gave it everything I had. And I'm happy. 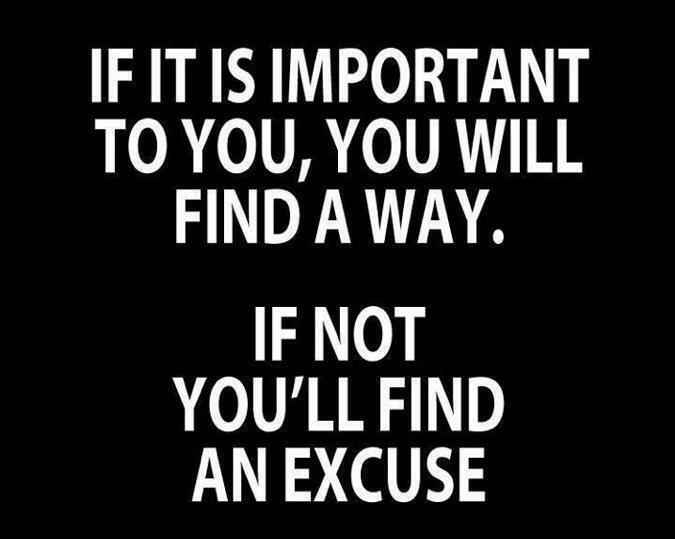 So no more excuses. I'm going to go, work hard, and do my best. I know from experience my best will get better and better as time goes on. When you take this seriously, your motivation to workout will automatically increase.